Don’t Miss the Naples Real Estate Come Back! NAPLES, Fla.-The positive momentum continues according to a report released by the Naples Area Board of REALTORS® (NABOR), which tracks home listings and sales within Collier County (excluding Marco Island). Statistics compiled by NABOR show a dramatic increase in overall sales with inventory diminishing in Collier County, which is an encouraging sign that the favorable market conditions are moving buyers. 2009 showed a series of strong pending and closed sales for each consecutive month with double-digit increases over the 2008 sales figures. Overall pending sales in 2009 increased 71 percent with 9,513 contracts, compared to 5,567 contracts in 2008. Overall closed sales significantly increased with 7,056 sales in 2009, compared to 4,756 sales in the previous year. • Overall condo pending sales increased 69 percent with 4,243 contracts in 2009, compared to 2,505 contracts in 2008. • The days a property was on the market in 2009 decreased 11 percent to 160 days on the market, compared to 179 days in 2008. 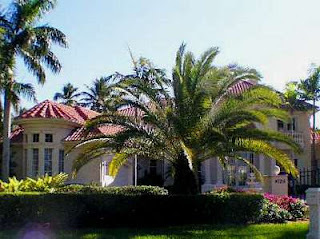 • The overall median closed price decreased 35 percent to $178,000 in 2009 from $274,000 in 2008. Excluding the $300,000 and under segment, comprising a majority of foreclosure related property sales, the overall median price for the market declined only 7 percent from $565,000 in 2008 to $525,000 in 2009. The median refers to the middle value in a set of statistical values that are arranged in ascending or descending order, in this case prices at which homes were actually sold. The fourth quarter of 2009 showed overall pending sales increasing 92 percent with 2,455 contracts, compared to 1,276 contracts in the same quarter of 2008. “We are seeing sales steadily move to higher priced ranges,” stated Jo Carter, President of Jo Carter & Associates. Both single-family pending and closed sales increased in all price ranges below two million. • Single-family home sales in the $300,000 to $500,000 price range increased 43 percent with 163 sales in the fourth quarter of 2009 compared to 114 sales in the fourth quarter of 2008. • Single-family pending sales in the $500,000 to $1 million price range increased 63 percent in the fourth quarter with 114 contracts compared to 70 contracts in the fourth quarter of 2008. The NABOR report also showed that in December 2009, the $1 million to $2 million segment of the market was particularly lively, showing a 157 percent increase in pending sales over the previous year. Pending sales of single family homes and condominiums in that luxury home segment showed a 178 percent and 120 percent increase, respectively, over the previous year.